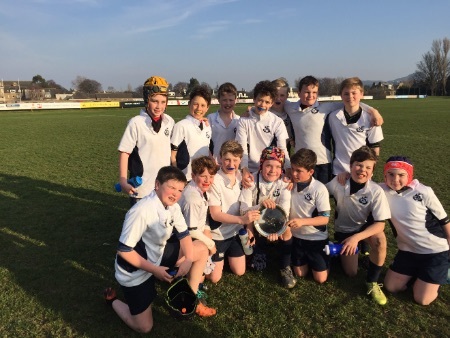 In the 3rd/4th place play-off for the Plate, Dollar faced George Heriots, who have provided stiff competition in the past, However, the boys turned on the style big-time with a comprehensive 14-1 victory against an opponent who we thought would provide much sterner opposition. 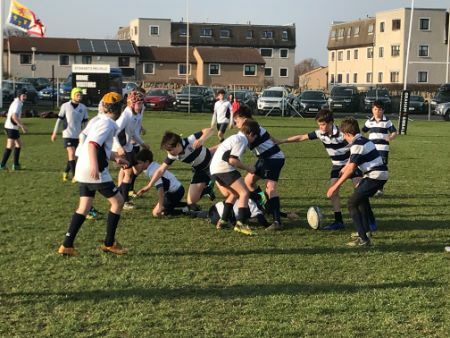 Once again, the pace and flow of the rugby that the boys were playing at was too much throughout the whole match for Heriots with hat-tricks for Zac Taylor and Adam Howat, who were put into plenty of space from their team-mates. 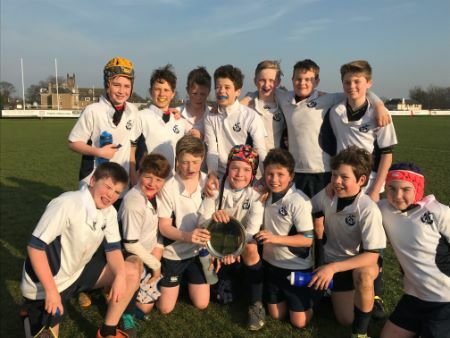 The intensity of tackling and defence was reflected in the score-line, with Adam Kennedy, Bobby Shearer and Charlie Kinloch being stand-outs from an overall high-quality team performance to earn a well-deserved third-place in the tournament.